Maropost is an email marketing platform that contains everything you need to launch email campaigns that reach a deep level of engagement with customers. Maropost optimizes and automates email campaign management, producing tangible results and creating a larger ROI. DAP integrates with Maropost. This integration is part of DAP 4.7 (or above). 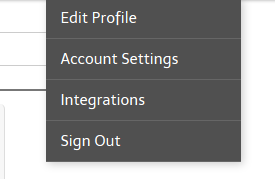 2) On the integrations page, click on the ‘API KEY” tab. Make a note of the API listed there. Say it is set to 86kjhkj270ng96959oglbb678kvd. 3) You will find your Maropost Account ID in the browser URL after you login. Make a note of your Maropost Account ID. Say it is 122. 4) Select your campaign and in the browser (URL), you will find the campaign ID. All fields are delimited with a colon (:). When a user registers to a FREE or PAID product in DAP, if the product is integrated with a Maropost campaign as described above, then DAP will automatically add the subscriber to the Maropost campaign. When a user loses access to product (when you click on ‘Remove’ in DAP users->manage page to remove user’s access to product), if the product is integrated with a Maropost campaign (dap products page => notifications tab => plugin notify remove), then DAP will automatically remove the subscriber from the Maropost campaign.